The branch is 3mm wide and embraces a .40 carat SI H-colour diamond. 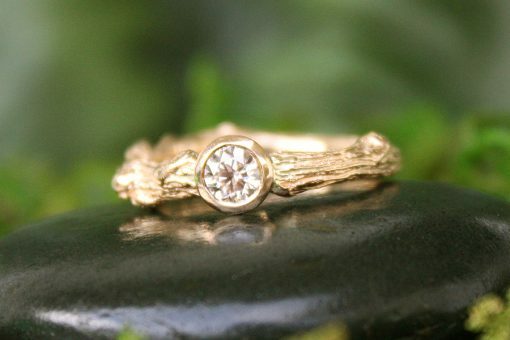 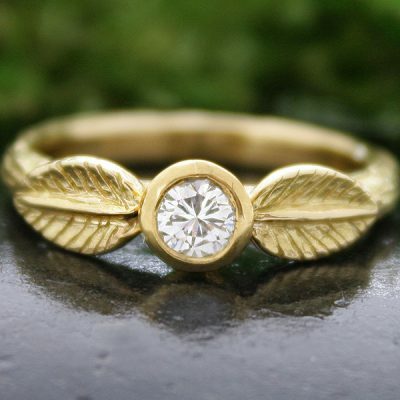 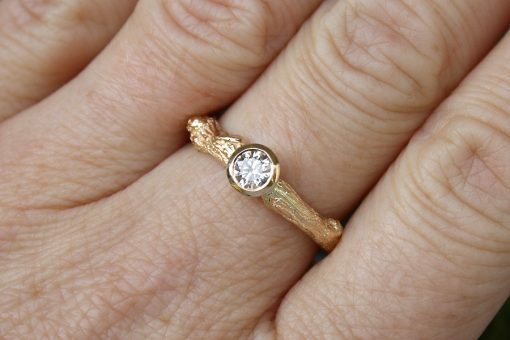 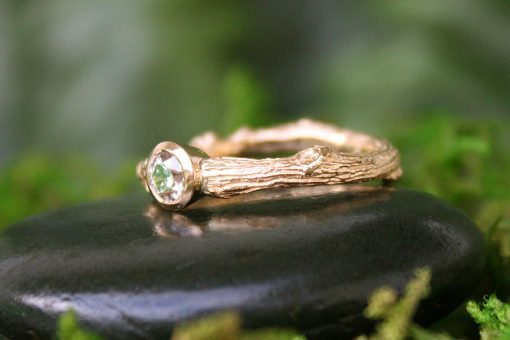 I have written a BLOG about the creation of this ring, my Enchanted Oak Branch series. 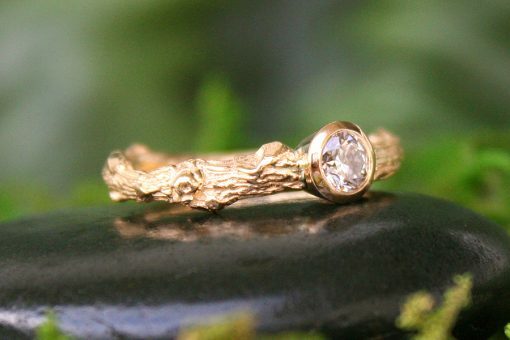 This gives you a good look at the whole process! 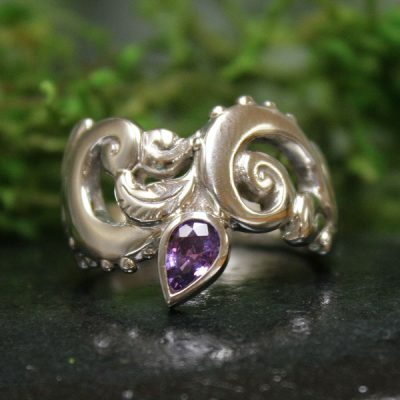 View this ring in white gold with a purple sapphire.